What’s up people, this is Aron Kramer from Tapscape and today we’re reviewing an awesome new puzzle game by Monkube called Blastball MAX. 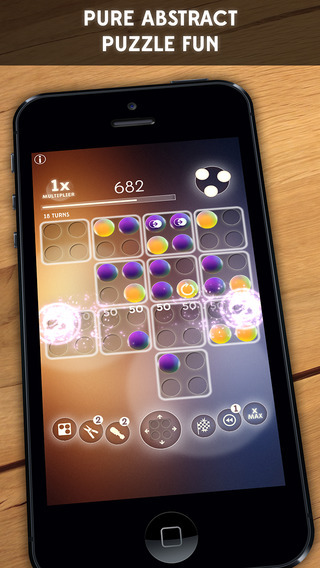 So without further ado, let’s dive into this extremely ambitious puzzling app right away. 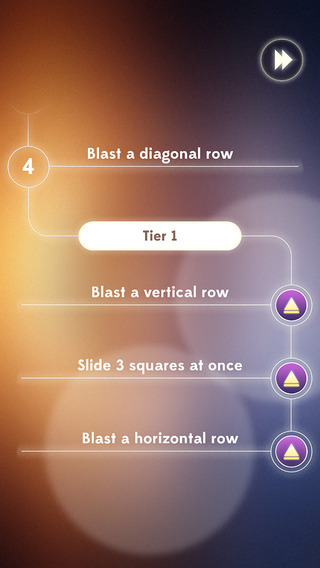 In Blastball MAX it’s your job to line up 5 or more balls of the same color, clearing that row respectively and adding to your points, but there’s a lot of more to Blastball MAX than this 5 in a row concept. You see after each turn of placing a colored ball, you’ll have the opportunity to slide around the actual playing field, giving an incredible amount of depth and freedom to the already brilliant puzzling adventure. But be warned, there are also hazards that come in to play quite frequently. For example, there’ll be screw balls which block the respective field they are placed on from moving around and even bomb balls which go off after a certain amount of turns. When these bombs explode, it’s simply game over. Do not fret, as there are plenty of power-ups and boosts you’ll be able to unlock that will help you in your endeavor. Which these boosts you can rack up way more points or even detonate bombs allowing you to progress more easily. Blastball MAX is incredibly immersive and innovative. It’s addictive quality lies in the fact that you keep getting better the more you play, making you want to come back time and time again to beat your high score. There are countless other puzzle games out there that have tried to truly come up with something new, but I’ve never seen or played anything like Blastball MAX. It takes a good chunk of time before you really get the hang of things and start to excel, but once the skills are there you will definitely be hooked. 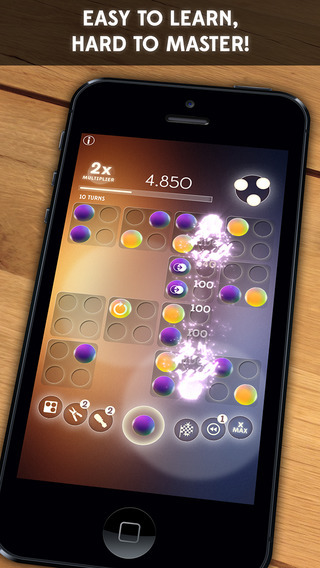 The game also has set challenges and online leaderboards pushing you further in your skills. With a new booster every day at the start of the game you’ll be sure to check back on the game too and I thought it was really nice how the game evolves along with your skills. 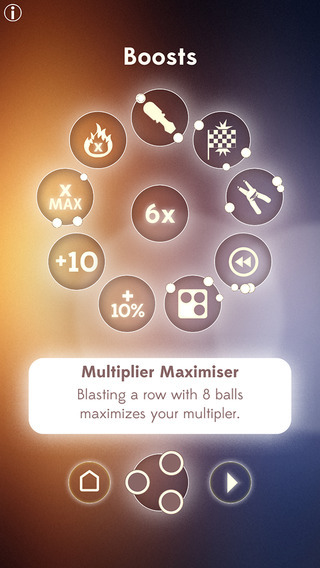 If you’re looking for a new puzzle game, especially if you want to play competitively, you can’t go wrong with Blastball MAX.